2016 Change to Mortgage Qualifying Rules for First-Time Home Buyers — Explained - Distinctive Advisors Inc.
You might remember an uproar regarding real estate in October 2016, but what was that all about? Without notice or preparation, the Canadian government announced on October 3rd, 2016 several major changes to mortgage rules aimed at curbing high demand in two of the country’s fastest growing markets — Toronto and Vancouver. 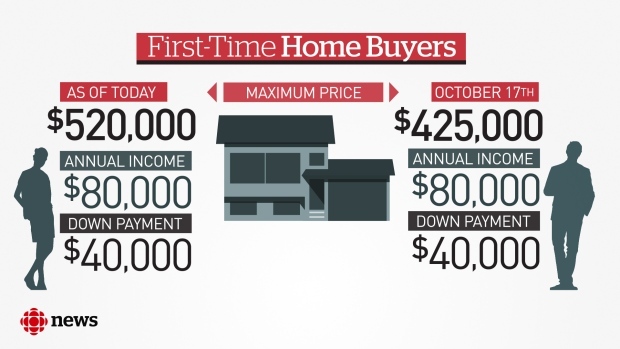 Bank of Canada implemented what they call a “stress test” for first-time buyers, forcing them to qualify for their mortgages at the Bank of Canada posted rate or 4.64% rather than the actual mortgage rates, reducing buying power for first-time home buyers across the board. This was a very clear message from the Bank of Canada that interest rates would soon start rising, and true to form, they’ve already started. Since first-time home buyers often stretch their budgets and take on more than they can afford (and many lenders don’t prevent this from happening) this is the government’s way of protecting our housing market from a potential crash as a result of rising interest rates. Although this may temporarily slow the market in some areas, this move is expected to have positive ripple effects on the economy and is a much needed shifting of the winds for Canada. In 2016, a mere 33 percent of individuals looking to purchase a home were first-time home buyers and in 2017, stats are showing over 50 percent of people with an eye for the home buying market will be first time purchasers. Even more astounding, over 60 percent of those buyers are under the age of 35. 2017 will most likely be the year that the Millennials begin their real estate takeover and the market will never be the same. Looking for your first home or know someone who is? Contact a member of our team today to learn how we can help you with your real estate transaction and mortgage financing needs.